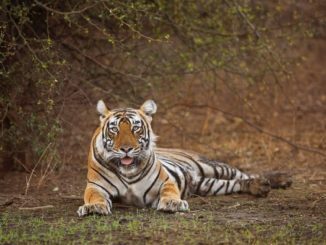 Sitting in the laps of Arawali Hills, The Sariska Tiger Reserve lays 107 km away from Jaipur in Alwar district of Rajasthan. 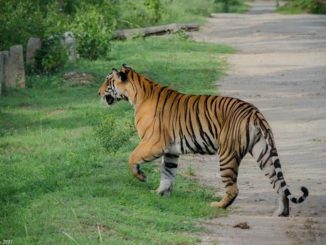 It is popular for Royal Bengal Tigers and tourists from all over the globe visit here to catch glimpses of the Sariska tigers. 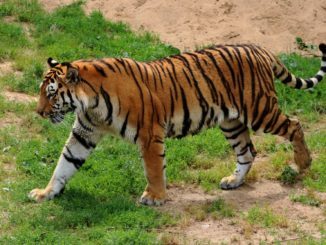 The Sariska Tiger Reserve is spread over an area of approximately 800 sq. km out of which 500 sq. km constitute the core zone. Altitude of the reserve ranges from 300 m to 722 m MSL. 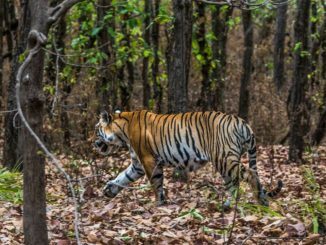 The topography of the place is quite similar to that of Ranthambhore i.e. characterized by scrub-thorn arid forests, rocks, and grasses. 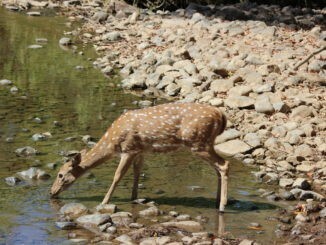 The variable climatic features of Sariska make it an ideal home for a wide range of wildlife species. The temple and pavilion ruins standing in Sariska tell the tale of its bygone historical charm. The Sariska horizons behold the glory of Maharajas of Alwar. The ruins speak for their prosperity and eminence in the Rajputana period. 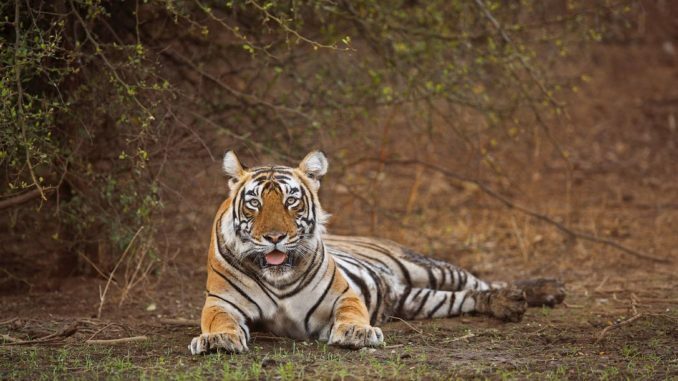 Sariska was formally created as a Tiger Reserve in 1978. 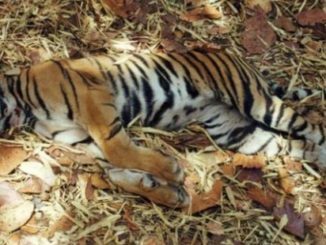 It got constituted as part of India’s Project Tiger: the ambitious project initiated to protect and conserve tiger population in India. Only a year later, in 1979, the reserve was granted the status of a National Park. 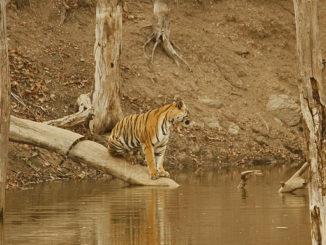 Sariska, since its inception till date, has attracted swarms of visitors in search of tiger tourism. Green Cover: Sariska is the only forest patch in the whole western Arawali. Although it is recognized as a dry deciduous region but the onset of monsoon transforms the land into a beautiful green paradise capable of enchanting all hearts. Combinations of tropical, dry, deciduous and tropical thorn forests dominate the region. Dense bushy shrubs amidst rocky terrains present soothing sights. Dhok, dhak, gol, ber, bargad are some most commonly spotted trees here. 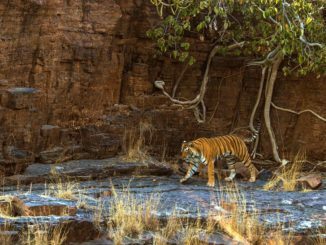 Wildlife at Sariska Tiger Reserve: The carnivore variety at Sariska comprises Leopard, Tigers, Jungle Cat, Hyena, Jackal and Wild Dog. 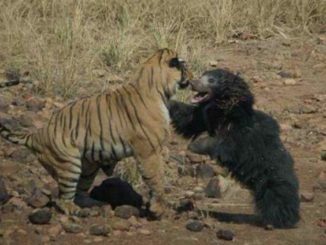 Their prey base constitutes Sambar, Chital, Nilgai, Chausingha, Langur, and others. Avifauna: Sariska skies see many colorful varieties of birds including Grey Partridge, Bush Quail, Sand House, Tree Pi, Golden Backed Woodpecker, Serpent Eagle and The Great Indian Horned Owl. 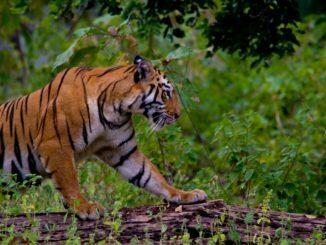 The best time to visit Sariska Tiger Reserve is during the months of October to June. The reserve remains closed form mid of June till mid of October every year. When you do pay a visit, remember to embark on an adventurous safari tour. You will miss out on a lifetime of memories and stories if you don’t. And who wants to let go of that opportunity anyway! 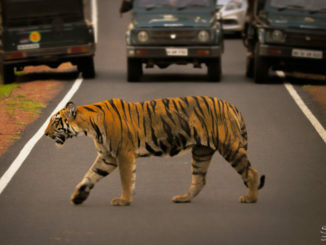 Jeep Safari is the most suitable option for a Sariska tour. It is easily accessible and duly provided by the Reserve administration. However, you must keep in mind that only authorized vehicles managed by the forest staffs are allowed inside. Jeep Safari is made available twice a day. Each vehicle is protected with grills and accompanied by forest guards. The safari timings differ for the summer and winter seasons. 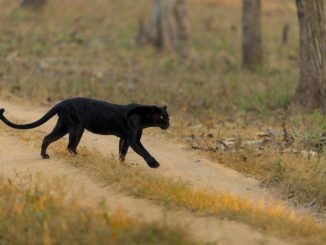 In winters, the morning safari begins at 6.30 AM and concludes by 10.30 AM. The evening safari is available from 2.00 PM to 6.00 PM. During the summer season, the morning safari starts at 6.00 AM and continues until 10.00 AM. 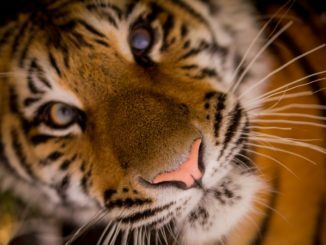 The evening safari goes from 2.30 PM onwards until 6.30 PM. Bharthrihari Temple: Popular for its Rajasthani style of architecture, the temple is located merely 30 KMs away from Sariska and attracts many Hindu devotees. The temple is built on the samadhi of ancient sage Yogi Bharthrihari Nath and has special spiritual significance. Naldeshwar Temple: An 18th-century old temple dedicated to Lord Shiva sits amidst dense greenery as if calling on those looking for solitude. It stands a short distance off the Alwar-Jaipur highway. The highway – temple distance can be easily covered on foot. Neelkanth Temple: Another beautiful worship place dedicated to Lord Shiva, this one is close to the Sariska Reserve and stands surrounded by tall summits of Arawali Range. The sculptures and carvings on the temple make it a close resemblance of the famed Khajuraho. Sariska Palace: The Sariska Palace is located inside the reserve area. It used to be the hunting lodge of Maharaja Jai Singh. It has an exquisite historical touch to it which draws much attention from tourists. Sprawling lawns, a large mansion, antique architecture make it a place worth visiting. The Palace has been converted into a museum lately. Kanakwari Fort: An all-time favorite among the students of history, the Kanakwari Fort stands witness to one of the most unfortunate incidents in the history of medieval India. Prince Dara Shikoh, often called as the second Akbar, was imprisoned here by his brother Aurangzeb. Dara Shikoh was heir to the Mughal throne which Aurangzeb ascended by imprisoning his own brother. The fort stands 18 KMs apart the entrance gate to the reserve. Steeply rising stairs will elevate you to the past where decades-old wall paintings speak for themselves. By Air: Jaipur is the nearest airport sitting at a distance of 132.6 km. It is well connected to all major Indian cities by air, rail and road transport. By Rail: Alwar is the nearest railhead to Sariska. It is connected to all major Indian cities through various channels and has direct access to-and-from Delhi via rail. By Road: Alwar, the district of Sariska lies en route the Delhi-Jaipur highway and so, is easily approachable.